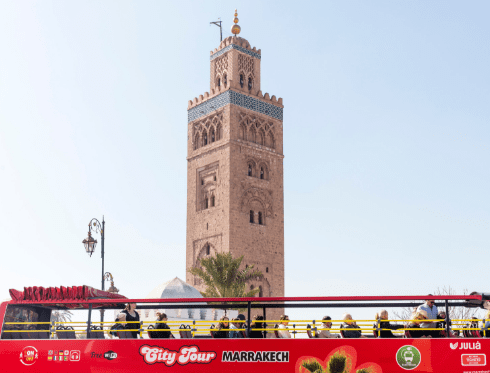 Marrakech City Tour is the official sightseeing bus of this marvelous Moroccan city. From the open upper deck you will enjoy the best panoramic views in the most comfortable way. You can find more information about the sightseeing bus here. 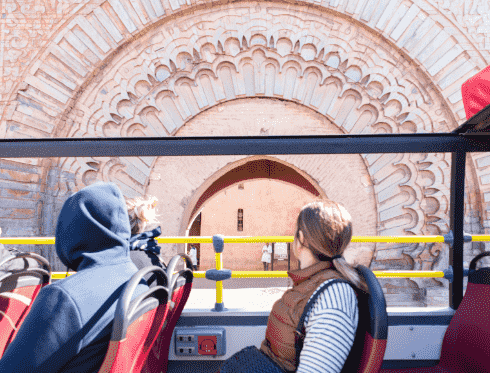 Let yourself be seduced by the charm of the Red City with the route offered by the official tourist bus. 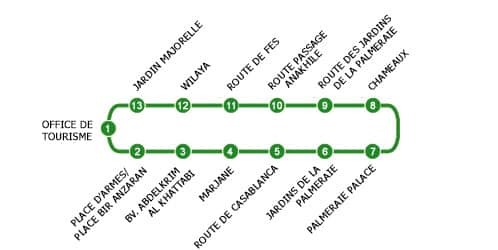 It will take you to the top points of interest of Marrakech and you will be able to hop on and off at any of the 18 stops of the itinerary and organise the visit as you please and at your own pace. The Historical Tour Route consists of 18 stops and the itinerary can be started at any one of them. This route lasts around 1 hour and 15 minutes. With Palm Grove Tour Route you will discover the northern part of the city. 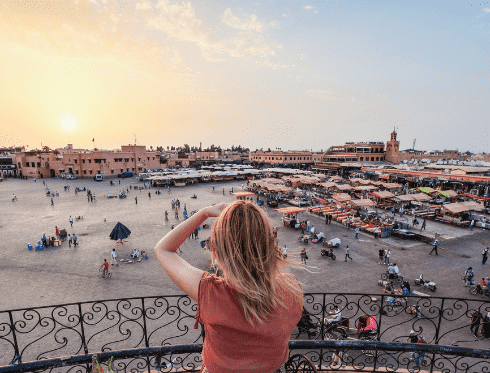 There, you will find the famous Marrakech Palm Grove, where you will be able to enjoy with different activities such as a camel or a quad ride. 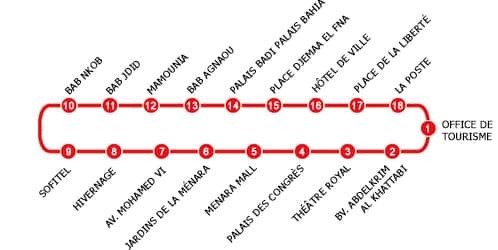 The route is made of 13 stops and aproximately lasts 1 hour.